Below are words and phrases found in the Bible (NASB) and the number of times they occur. Although I cannot speak to the accuracy of the translation and the counts shown below, I do believe so many of the counts line up with God’s number symbolism that it demonstrates it is worth noting the relationship and the counts as we read scripture. 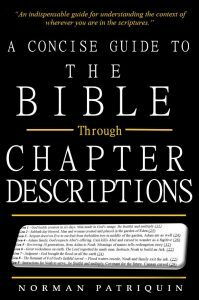 The number counts further help to validate the consistency of the Bible as a single complete volume with two inseparable parts of Old and New Testaments. Knowing the themes for the counts will also help in interpretation. It may seem odd that we can both count words and phrases and both counts will have meaning. This seems an impossibility for God to line up all these numbers so perfectly but the evidence strongly suggests he did. 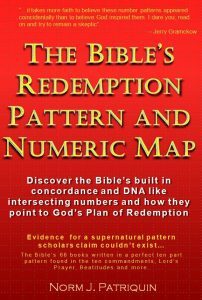 As you examine more and more numbers they will begin to convince you of God’s amazing miracle left in the Bible’s structure. Each item below has both a number of times the word or phrase occurs as well as the number of verses it is found in. It appears both numbers somehow fit the number symbolism but the number of times words occur seems the strongest in relating to the message of the text. For the purpose of sorting this list I’ve assigned a number to each word that I believe most strongly represents the message in the text. For reasons too long to explain here I have sometimes reversed or dropped digits from the counts to come up with a related number. For example, I may have shortened 137 to 37 and changed 73 to 37. This is in an attempt to line up similar themed words. If you examine lines with the number 6 you will see an example of how word counts appear to fit the words. Six is a number often associated with sin, redemption or the need for redemption. You can clearly see this theme as strong in number six related words. NOTE: The number descriptions included here are to help understand the word occurrences. Check everything out for yourself with your own Bible as these are simply my best understanding at the time I wrote these. You will notice that some of the word associations for single digit numbers are more difficult to verify (especially number 1) as there are so many words that fit and it is not difficult to contrive answers. Look at the multiple digit numbers for the most compelling examples. Forward any questions, comments, improvements to this site. THE HAND OF THE LORD-Found 35 times in 35 Verses–As in being lifted up..